It is always satisfying to form part of a project which improves a city, and facilitates people’s lives, and this has been the case in equal measures in Enschede, Netherlands. In mid-December, the tunnel linking the Van Heek garage with the Medisch Spectrum Twente (MST) hospital was officially opened. This underground link is used by patients and visitors of the MST, and therefore project architects Atelier PROhad to keep accessibility very much in mind. PORCELANOSA Group formed part of this important project with the compact mineral KRION® 1100 Snow White, installed by one of the 8 firms which make up PORCELANOSA Group: Butech®, in charge of technical solutions and experts in the installation of the solid surface KRION®. 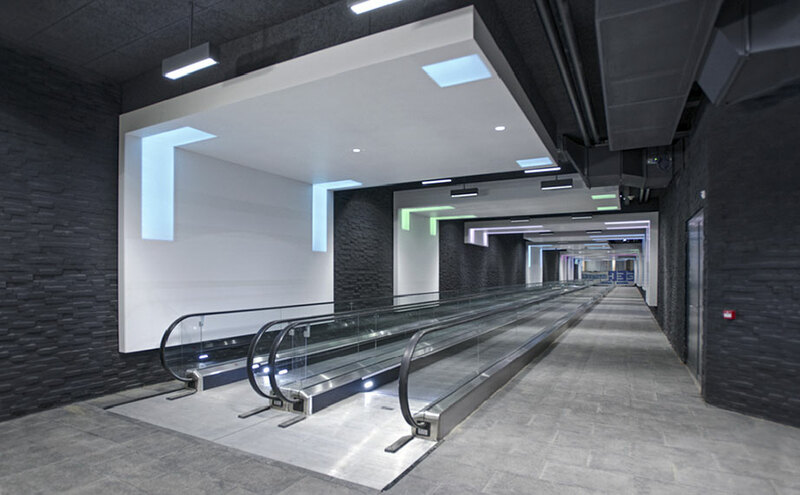 We can find KRION® on the “L” shaped coverings of the tunnels. These architectural pieces, with a sculptural quality, can be backlit at sporadic points, giving the place a pleasant charm.